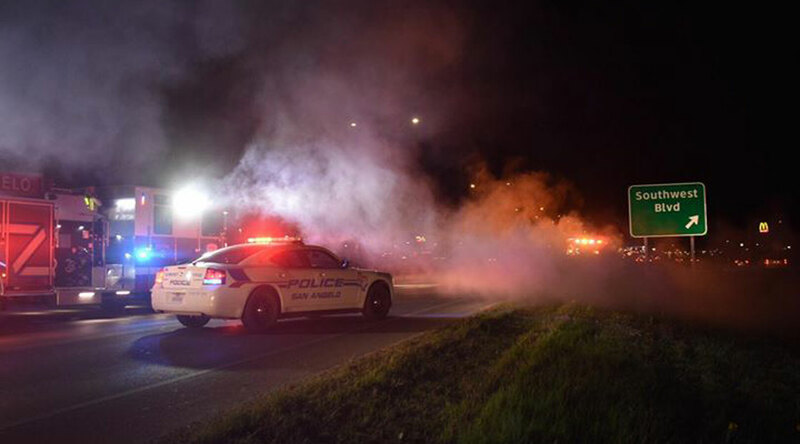 SAN ANGELO, TX — San Angelo police could be seen giving what appeared to be the driver of a burned-out sedan a sobriety test. Moments later, the woman was arrested and shoved into the back of a police cruiser. The crash appeared to involve just the suspected drunk driver who crashed her sedan into the guardrail before it burst into flames. 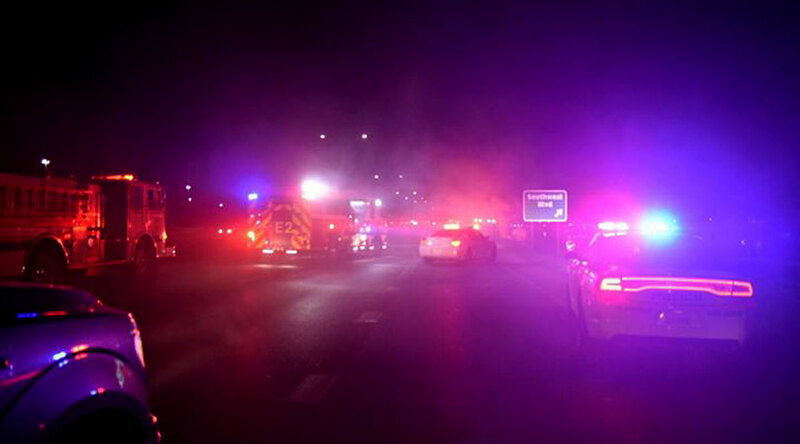 Loop 306 westbound, near the Sunset Mall, at the Southwest Blvd exit is closed until at least 11:30 p.m. Monday, April 8, 2019, while first responders clear the crash scene. There we no injuries. At 11:39 p.m. Monday night, Sonia Mascorro was booked into the Tom Green County Jail, charged with Driving While Intoxicated. Her bond was set at $1000. LIVE! 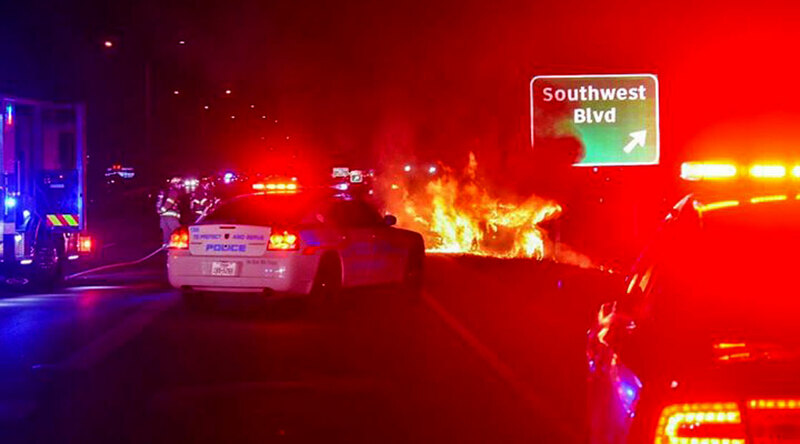 reader Adam Hernandez took the photos of the flaming car.